Black Lightning Review: Should You Be Watching The CW's New Superhero Show? Black Lightning is the newest addition to The CW's superhero line-up and currently the talk of the town. So is it worth checking out and how does it compare to other Arrowverse shows? I'm going to give you the rundown. One of the first things that stands out about it, is that it doesn't have the typical played out origin story that every show has to cram into their pilot episode. In Black Lightning we are introduced to Jefferson Pierce (Cress Williams) who is now the principal at Garfield high-school. He gave up the superhero game almost a decade ago after it consumed his family life and cost him his marriage. He now tries to be a force for good in his community as a civilian. 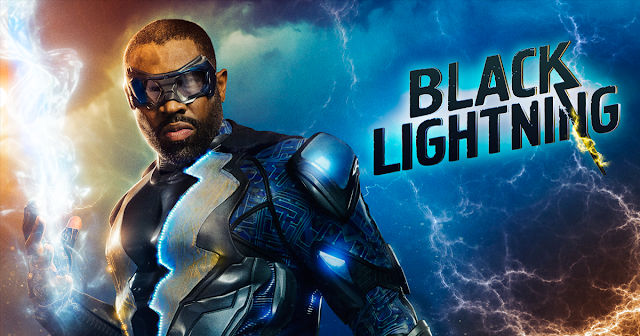 It is only at the very end of the show, after his daughter gets kidnapped by the One Hundred Gang, which has been terrorizing the city of Freeland, that he actually steps back into the role of Black Lightning to save her. Now the superhero part of the show actually only makes up a very small portion of the pilot, and that's good. We have seen people shoot laser beams from their hands and eyes as well as flip over cars often enough. What's great about Black Lightning is that it really shows us the man behind the cape (even though Black Lightning doesn't wear a cape, of course). This is a show that tackles important issues in society today. Like when Jefferson Pierce and his daughters, on the way home, are stopped by two cops, he gets roughed up by them just for being black. The police even draw their guns on his daughters, when they pull out their phones to record the incident, as their only way to defend themselves. He has to exercise every fiber in his body to contain himself and not to use his powers. It becomes obvious in this scene that he has experienced this kind of mistreatment many times before in his life. Yet he still doesn't let these things turn him cynical or bitter. Throughout the show we see him always trying to be a positive influence to those around him, especially his daughters Anissa (Nafessa Williams) who is a medical student, and Jennifer (China Anne McClain) who is more of a rebel that gets involved with the wrong crowd. When a colleague at his school suggests installing metal detectors he refuses to do so. Saying that since a lot of his students parents are already in jail, he won’t turn the school into another prison. Check out Black Lightning Vol.1 to see the original roots of the character. Compared to the other Arrowverse shows like The Flash and Supergirl this show feels a lot more real and down to earth. 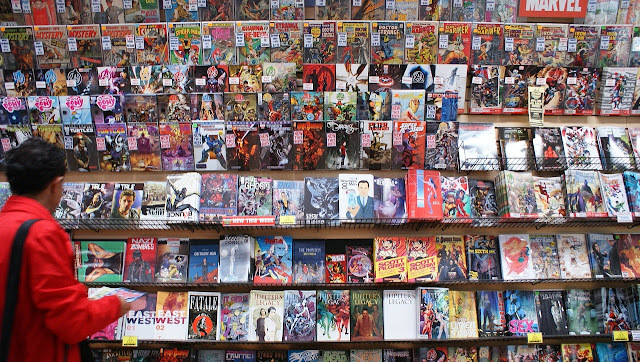 Comparisons can be made to Marvels Netflix show Luke Cage that explores similar issues. Yet it’s still a CW show, so the actors all look like models and there is plenty of soapy storylines to keep the audience engaged. But it’s definitely worth checking out based on the first episode alone. If it can keep the momentum going remains to be seen. 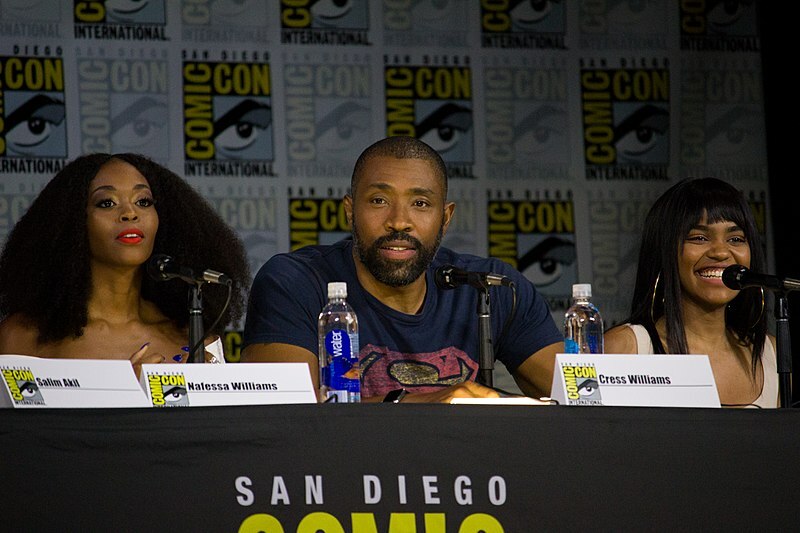 Black Lightning airs Tuesdays on The CW and is available on Netflix in most countries. I'm truly looking forward to checking out Black Lightning. I hadn't heard of the comic, but the show is definitely a different kind of superhero story. Which is nice to see. Yeah, same as you I wasn't familiar with the comic book character before. But definitely check it out and let me know what you think. I can't wait to see how it ties into the Arrowverse! Looks awesome, I'm definetly going to watch it. It reminds me if static shock from my childhood. Thank you for sharing. I went ahead and checked the trailer for Black lightning. I love it and will surely be watching this. Thanks for sharing this! I will definitely be checking this out!